I’ve learned how to spot the behavior of Liberals, and I now have my Ph.D. So when I heard the story of this woman’s action, I knew the story was about a Liberal. 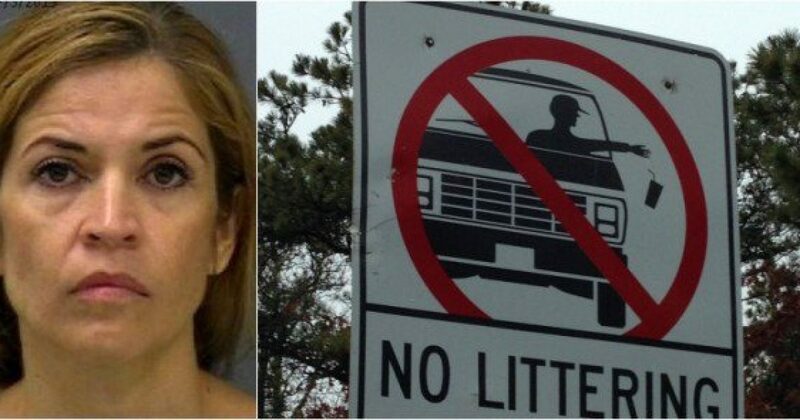 Imagine the surprise of those sharing Highway 87 in Navarre, Florida with Veronica F. Gordon, 39, when she started tossing unwanted items from her black Infinity SUV. Even more shocking was what those items were, which gave a whole new meaning to littering. For reasons unknown, the sadistic woman decided to throw a litter of kittens, one by one, from her vehicle as she traveled the highway. Santa Rosa County Sheriff’s deputies responded to an animal complaint at about 11:45 a.m. on Friday morning after a witness saw Gordon throwing the small kittens from the vehicle window. According to the witness, it is thought four kittens total were discarded by Gordon along the highway. When police caught up with Gordon, she admitted to the depraved accusations. She was subsequently arrested and taken to the county jail, where she is being held on $5,000 bond. Need more proof about Liberals? Look at Michael Vick and other dog fighters. I’m not condemning all Liberals, as there are some who go completely overboard for their pets. But for the most part, they are cruel to animals. Conservatives care about their animals. Whether pets or food stock, we understand that God gave us dominion over the beasts of the earth, but He expects us to be good stewards of them.